This unique flavour is one of the most popular from the DaVinci range. This syrup has a warming effect and is full of sweet flavours and spices. Save time and money with this chai product, rather than having to buy all the spices yourself that you can taste in this syrup. With no artificial colours or flavours, you will experience a true taste of chai tea with no nasty chemicals. This product works perfectly in a coffee. The creaminess of the milk compliments the spices of the chai so well. These rich spices include cinnamon, vanilla, ginger, cloves and cardamom. Paired with pure cane sugar and black tea, this syrup will be a delicious addition to your collection. This product doesn’t have to be just used in your coffee, it is so versatile and can be used in lots of different recipes. With a little creativity, it can even be used when cooking. We have found two delicious recipes to use this syrup in. They are from Monin, and we have tweaked them slightly and converted the American measurments. This recipe is super easy and simple, but so delicious. It makes approximately four portions and is best served warm. Place the cooked rice into a bowl and add the rest of the ingredients. Pour this mixture into a greased baking dish. Serve warm, sprinkle with cinnamon and enjoy! This recipe is like Christmas in a glass, but we love it so much we’d drink it at any time of the year. This is also really easy and a great way to re-create a popular drink in the comfort of your own home. Grab your favourite glass and fill it with ice. Add all the ingredients to a cocktail shaker (or cup that has a lid) and shake vigorously. Pour over the ice into the glass, add whatever toppings you would like (whipped cream perhaps) and enjoy! 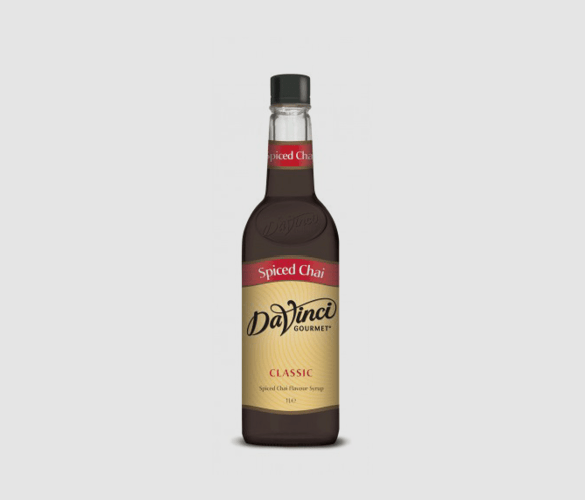 If this isn’t what you were looking for, have a look at our extensive range of syrups. Whether it’s gift sets, a staple addition to your collection or something a little more adventurous, we have it all covered in this delicious range.